Brad Keselowski #2 Wurth Ford Mustang-It’s the same great Wurth color scheme, but with a new design that works well with the color scheme. This is a great look, and it earns an A.
Austin Dillon #3 Dow Killz Coatings Chevy Camaro-Same scheme as last Dow, same B+ grade. 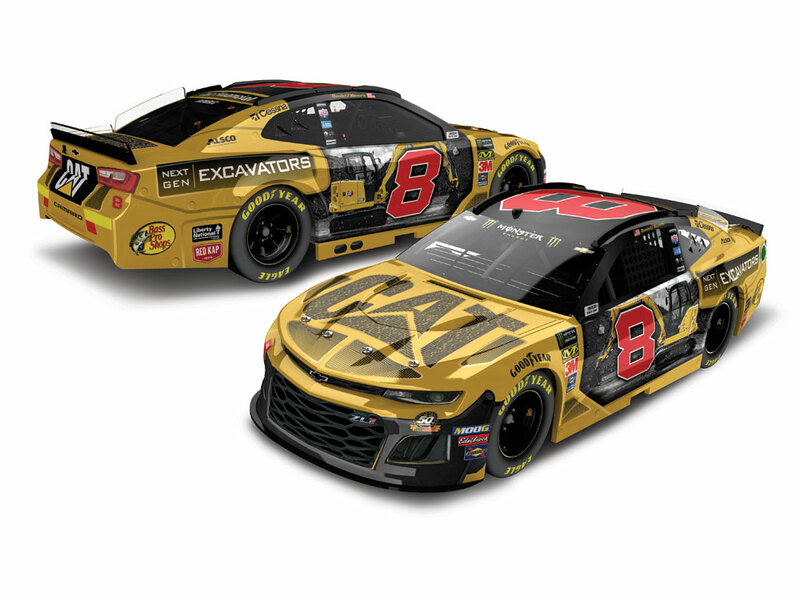 Daniel Hemric #8 CAT Next Generation Mini Excavators Chevy Camaro-I like the metallic gold here, but the excavator design is over done. It just doesn’t look good. I do still like the gold, so I’ll give it a C+. Aric Almirola #10 Farmer John Ford Mustang-It’s the same design as Smithfield, but with a good color scheme, so I’ll give this an A.
Ross Chastain #15 So Cal Chevy Chevy Camaro-Same scheme as last year, same A grade. Erik Jones #20 Craftsman Toyota Camry-Same scheme as last year, same A grade. Corey LaJoie #32 The Hartford Group Ford Mustang-Solid gold works very well as a color, and the design scheme is great, so this earns an A.
David Ragan #38 MDS Ford Mustang-While I do like this, it is a downgrade from the whole plain white scheme from last year. It’s still a good scheme, but the stripes don’t work well. This gets a B+. Garrett Smithley #77 CDF Firefighters Benevolent Foundation Chevy Camaro-A smooth look with a great color scheme will always earn an A.
Alex Bowman #88 Nationwide Pet Insurance Chevy Camaro-Much better design than the Nationwide scheme, and the color scheme looks great, so this scheme gets an A.